One of the best parts of watching the 2018 Winter Olympics in Pyeongchang is scoping out all of the ostentatious figure skating outfits. Between the elegant spins in mid-air, the eclectic variety of music choices, and the absolutely gaudy outfits, figure skating steadily remains one of the best sports to watch. 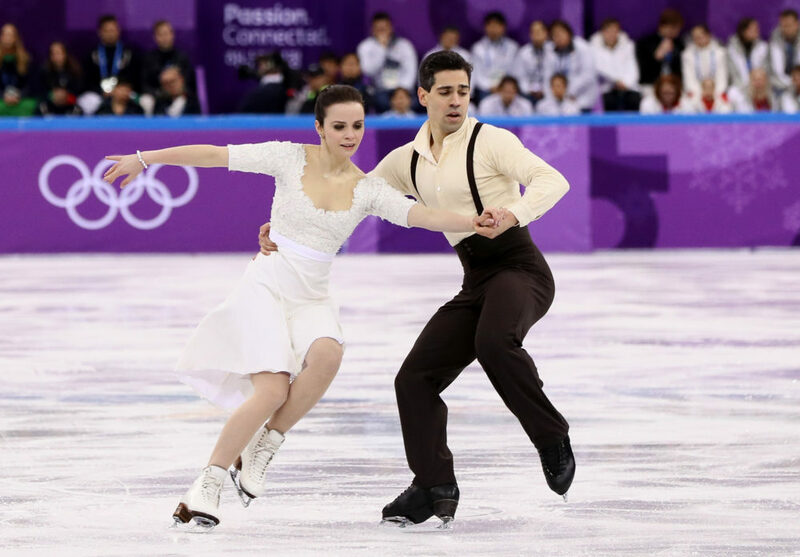 While we love ourselves a good triple axel, a solid lutz jump, or a gracefully landed loop jump (in all transparency we just Googled all of these), it’s hard not to comment on the (sometimes questionable) fashion choices displayed by the athletes. The late ’80s and early ’90s gave us everything from brightly-colored monochrome lacy numbers to velvet patterned arty pieces. 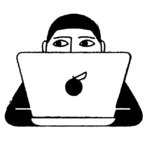 The spinning wheels of trends have brought us through many cycles of those styles up until now. For every figure skater who hits the ice with a classic one-note outfit, there’s another one pulling out all the stops in full-up costume gear. And while the styles have certainly changed and evolved throughout the years, we love seeing which looks transcend the decades on ice. 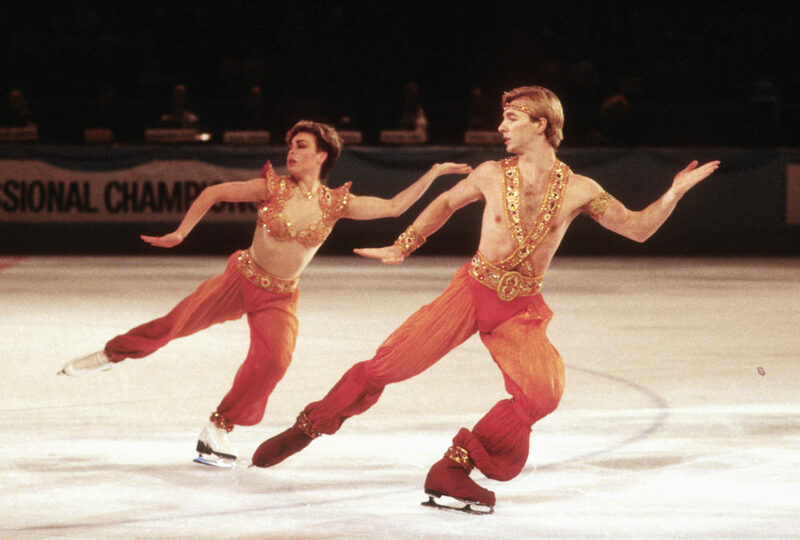 Back in 1984, the UK ice dancers Jayne Torvill and Christopher Dean brought full matching I Dream of Jeannie realness to the ice. We’re ready for this look to come back. Back in 1988, the German figure skater Katarina Witt managed to bring some colorblocking couture in a skating costume that looks like a glammed-up court jester outfit. The Russian ice dancers Maya Usova and Alexander Zhulin debuted one of the most gorgeous and surreal outfit pairings to the 1992 Olympics. They look like they’ve been dipped in a watercolor sky, and it really lends itself to the ice. The U.S. skaters Elizabeth Punsalan and Jerod Swallow brought a heaping dose of Grease-inspired Americana to the ice rink back in 1996. Now in 2018, we’re holding our breath for a Hamilton-inspired couple. Throughout the decades, German skaters have consistently brought some of the more impressive and outlandish fashion choices. Skaters Kati Winker and René Lohse prove no exception with their delightfully bonkers cyberpunk getup in 2002. The Canadian skater Mira Leung brought the ferocity of a golden dragon to her Winter Olympics look, and the look only helped illuminate the power of her skating abilities. The Chinese skaters Cheng Peng and Hao Zhang brought gorgeous matching aquatic color-blocked outfits to the Sochi Olympics, and we want our whole wardrobe made up of these colors. Italy’s Anna Cappellini and Luca Lanotte brought a crisp black-and-white wedding-inspired look to this year’s Winter Olympics, proving that sometimes less is more. You have to admit, after all that we’ve seen, this display of minimalism is shocking! Perhaps the only activity as satisfying as watching the gravity-defying skills of Olympic figure skaters is witnessing their outrageous outfits.